A small reference set of military vehicles used during the Vietnam war. It includes close-ups and wide shots of various tanks, turrets and other war artillery. For more extensive collections, check out War Vehicles and War Artillery. A simple, small set featuring cleanly shot references of an AK47, M4A1, sniper rifle as well as ammunition magazines, bullets and scattered bullet shells. Useful for texturing or as references for contemporary weapon design. 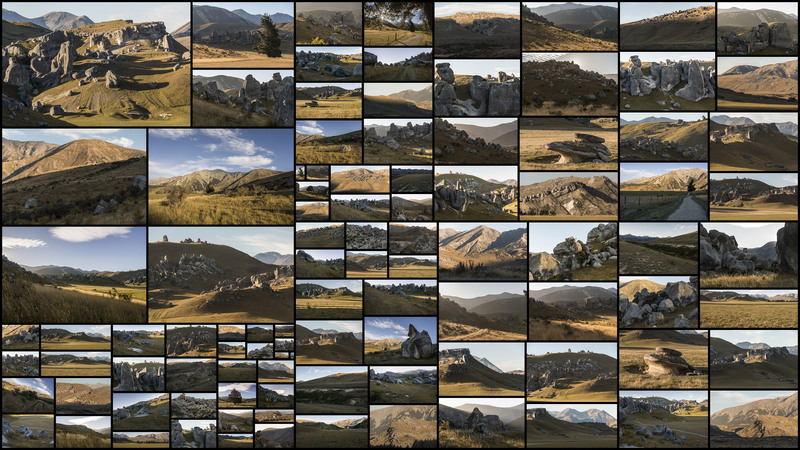 The second part of our mountain collection shot in New Zealand. Ranging in environment types from lush, plain, arid, snow-capped to rocky shot during various times of day, including at dawn, golden hour and during twilight. A reference set featuring cargo container terminals near a harbor. Includes street level shots of the terminal environment, large port machinery and various props such as hazard signs and broken down trucks. A reference set from the romantic, Italian floating city. Venice is characterized by its narrow, colorful city streets, canals, bridges, and historical buildings. A hazy, atmospheric coastline shot around sunset. 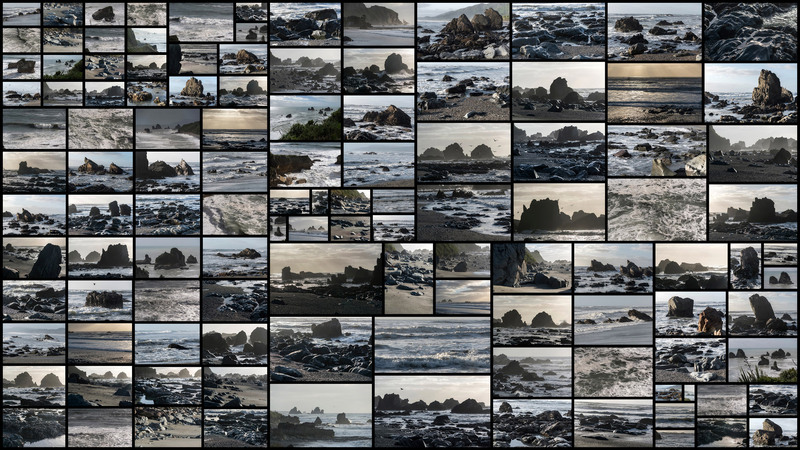 This set features unique coastal rock formations with strong defined silhouettes, glazed shoreline rocks, crashing waves and seagulls flocking in the distance. Shot in the picturesque Italian city of Florence. This set includes Renaissance architectural designs, rooftop views, streets and river bank shots taken during daytime and sunset. Historical weapons, shields and armor from various eastern countries and regions including Turkey, India, Persia and Mongolia. Unique highlights of this set include elaborate ornamental daggers, blades and battle axes. 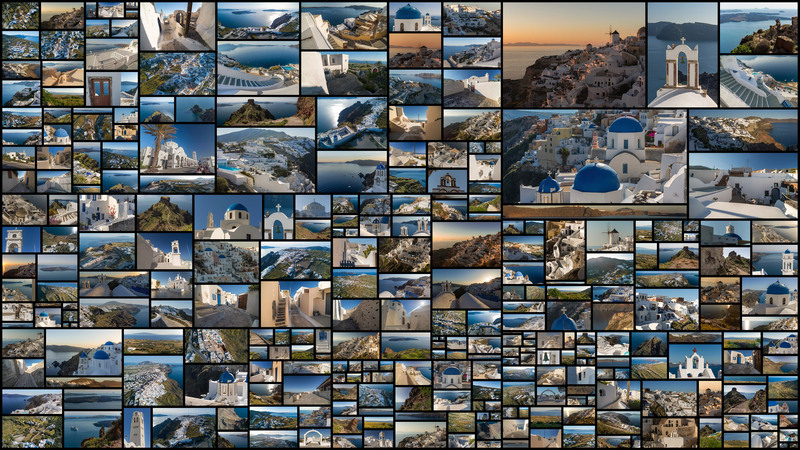 A reference set of the iconic Greek destination. Featuring scenic views of Santorini city, which rests on the remnants of a volcanic caldera. Many of the images are shot from an aerial vantage point, capturing the geographical elements of the island itself. A set of historical weapons and arms from WWI and WWII. Includes multiple detailed shots of artillery and a ball turret as well as various guns, pistols and grenades. A beautiful set of historical stave churches showcasing a wide range of angles and structural details, as well as aerial drone views. These Old Norse structures are some of the few remaining examples that represent and inspire Viking architecture design. 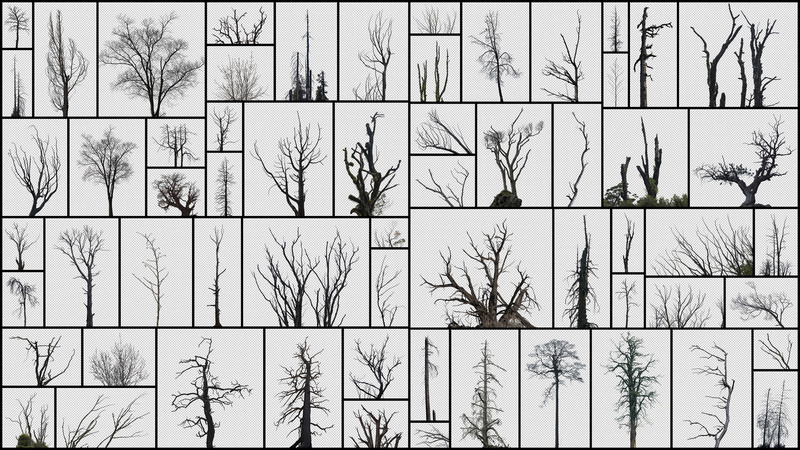 Masked images of a broad selection of dead trees, treetops and branches. The various types were captured on four different continents and range from decidious to arid and tropical species. 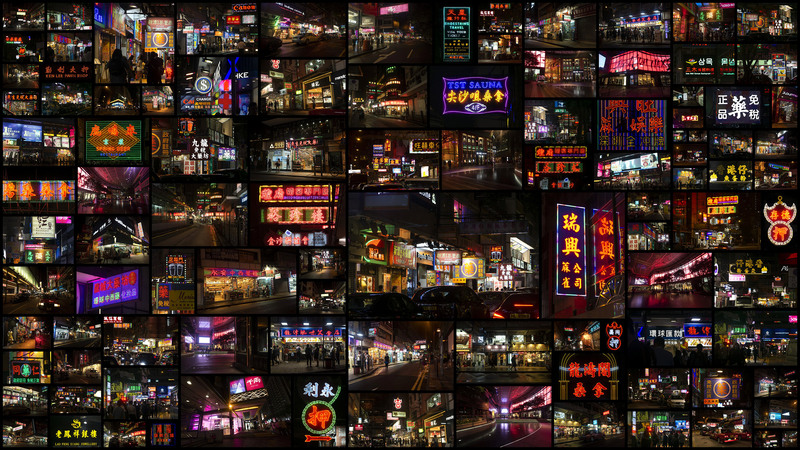 From the streets that inspired movies like Ghost in the Shell and defined the Cyberpunk genre, this collection contains nighttime shots of the famous Kowloon districts, covered in colorful lights and towering high rise. Includes textures that can be inserted for quickly adding neon signs. Remains of a hilltop medieval town left in a state of decay after its abandonment. 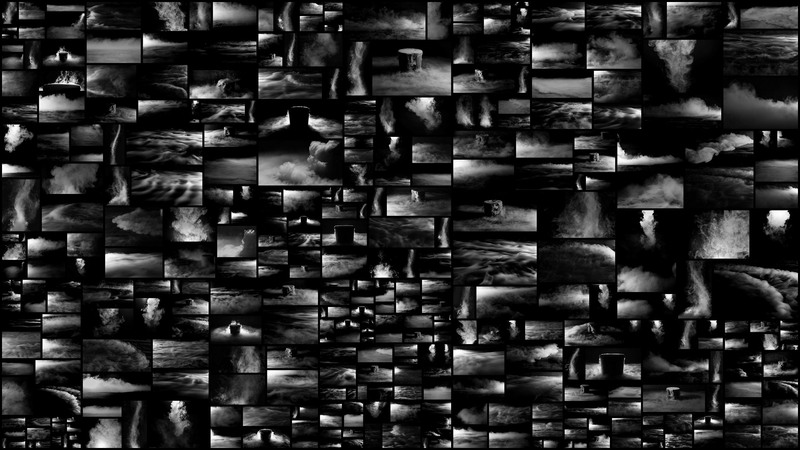 Includes wide shots capturing the derelict environment, silhouettes of destroyed Romanesque ruins, close-ups of damaged sandstone walls and chunks of rubble. A small collection of man made natural environments, including daytime shots from parks with grass patches, ponds, gardens and a greenhouse. Additional shots showcase details of hedges, lily pads, sub-tropical foliage as well as several trees trunks and root textures. This lavish collection features intricate gold and silver ornamental designs from royal exhibitions. The set includes Victorian, Renaissance and Baroque props in the form of luxurious ornaments, furniture, jewellery, crowns, vases, clocks, chandeliers and frames. 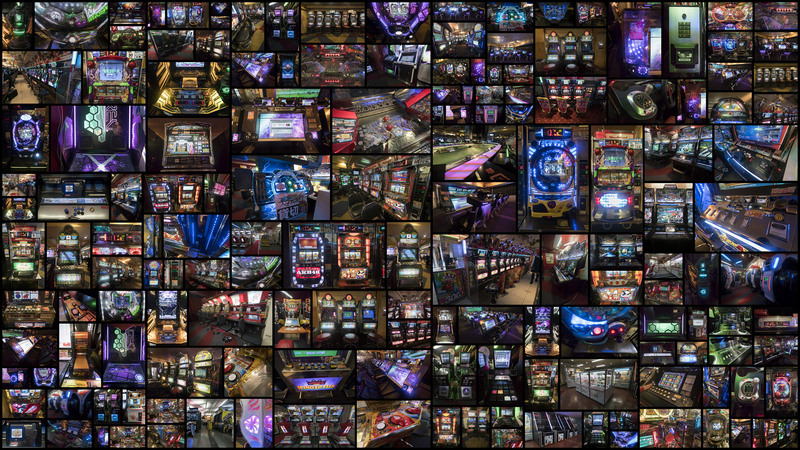 A cyberpunk themed collection of Japanese arcade tech and game machines, which are characterized by its bright neon lights and futuristic interface designs. Industrial themed masked assets from a shipyard environment, which are found at most ports and harbors. Includes various types of large scale cranes, lifts and support beams. Useful for quickly creating complicated structural details. This studio shot set focuses on ground fog and cloud-like textures created from dry ice, and unique tornado shapes made from vapor. For different types of smoke and fumes, check out Smoke. A small set of red river references shot in New Zealand. The jungle environment features unique, blood-colored water and eerie surface textures, as well as decaying trees. 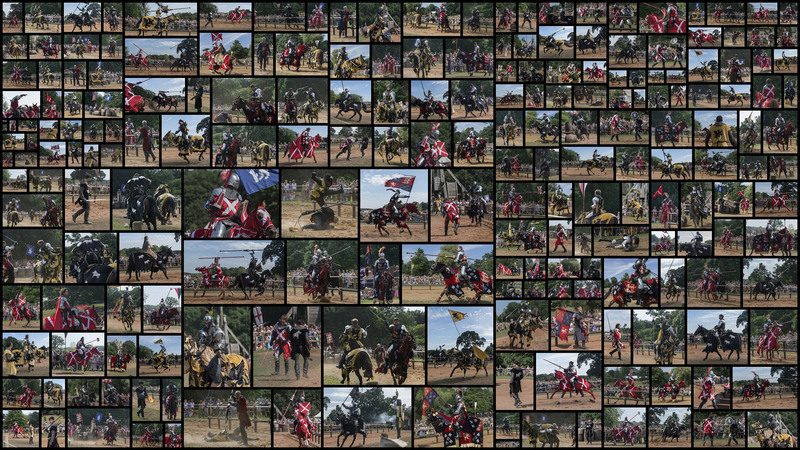 An epic, action-based character reference collection of knights jousting and fighting, both on horseback and in melee combat. The individual poses and expressions captured in each image are expressive and story-driven, suggesting realistic medieval scenarios. A collection of historical sculptures, ornaments, masks, ceremonial vessels and cultural designs from various regions of Sub-Saharan Africa. Many of the mostly wooden artifacts were created to reinforce rank, status, and social responsibilities among regional leaders. A collection of earthly and ethereal rocks, gems and minerals. Featuring crystals, jewels, volcanic deposits and colorful gemstones that are useful for magic and fantasy themed props. A reference set of steppe plains and grassy hills lit warmly in early sunset. The environment includes numerous boulders and small rock formations scattered across the landscape. A grand, tiered waterfall and canyon river shot during two different sunsets. The vapor and atmospheric low light introduces a warm, golden glow in the mist and surrounding grass fields. Includes various views overlooking the falls as well as details of the rapid cascades. 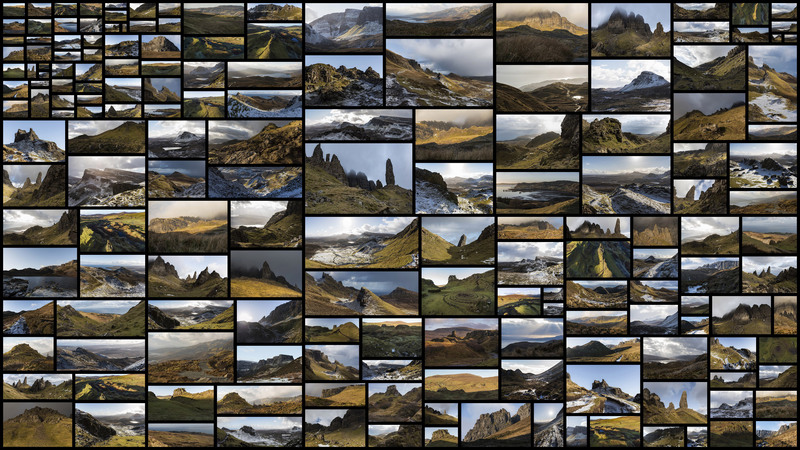 This environment set features the iconic northern Scottish landscapes from the Isle of Skye. Highlights include dramatic rock formations and jagged shapes. Shot at varying altitudes, the landscape has a combination of dry grass and snowy patches. A beautiful collection of street shots exploring the narrow alleys, staircases and traditional dwellings of the world famous ‘blue city’. Photos were taken in an early morning light with few pedestrians. Includes wide shots as well as many details and textures. This reference set is based in a quiet and cozy suburban Norwegian neighborhood. The predominant styles of the houses are simple, white, wooden and built in a contemporary style. Also included are additional details such as doors, windows, signs or other props. A strange, natural environment set featuring otherworldly rock formations. Hoodoo stones exhibit alienesque forms and silhouettes. Erosion caused by water and wind has granted the rocks their unique shape and dots the porous surface with holes and grooves. Featuring references from a late 18th century residential castle. It was inspired by Medieval fortresses, and intentionally built in an eclectic style including elements from both Romanesque and Gothic periods. A small set of clouds and skies taken at high altitude. This pack was shot during daytime and includes cumulus cloud formations and aerial landscape shots. 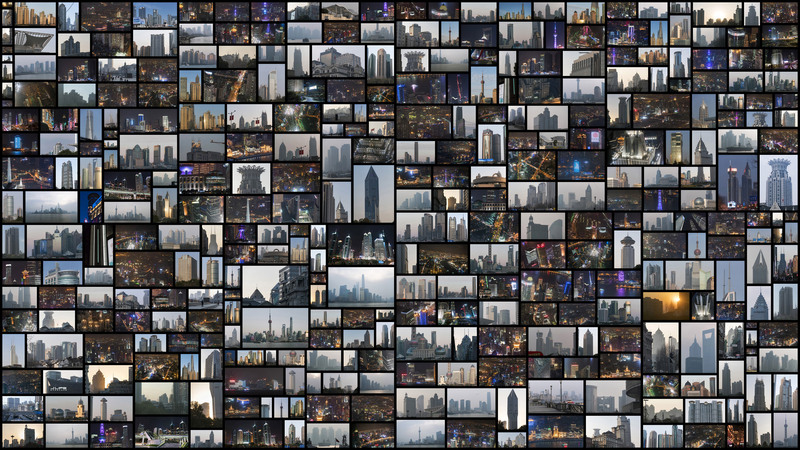 Known for its futuristic skyline, Shanghai is home to many massive, sci-fi looking buildings. This set is shot in various times of day and at night and contains many shots of buildings and architectural detail, as well as aerial views of the skyline itself. Gold and silver ornamental clockworks, gears and other trinkets from the 17th century. Be inspired by the elaborate mechanical and ornate craftsmanship of early modern Britain. Great as a reference for steampunk or Victorian inspired designs. This set is shot in the glacial regions of Southeast Iceland, and boasts a beautiful array of diamond-esque glaciers and ice crystals against a backdrop of snow-covered mountains. 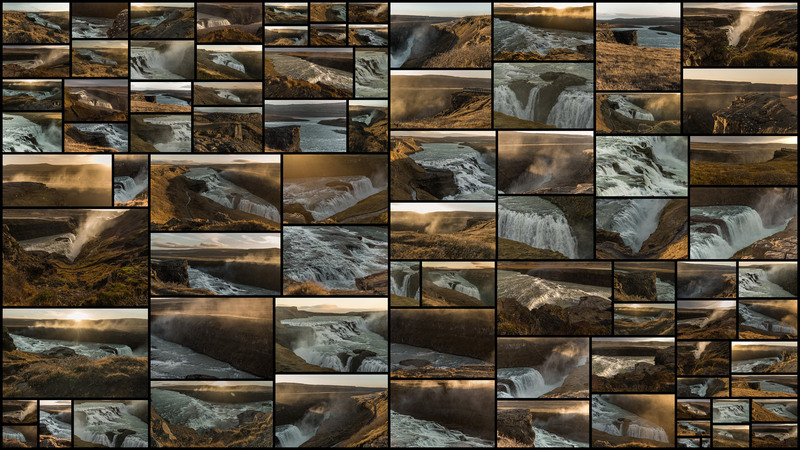 An assortment of mountain ranges from the vast landscapes of Iceland. 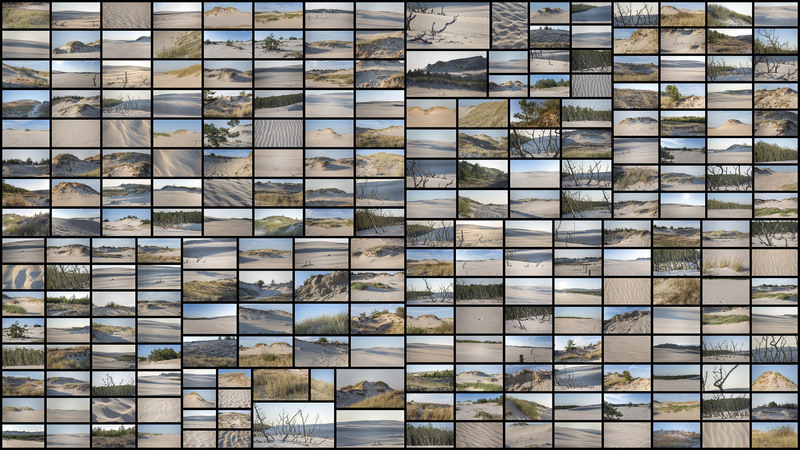 Varying in climates from snowy to dry, in atmospheric lighting conditions including many shots and high resolution panoramas taken in daytime, golden hour, sunset and twilight. A set of samurai themed references. This collection features armor, designs and ornamental elements of medieval Japanese warriors as well as meelee and ranged weaponry. For a more extensive collection, check out Samurai Armor. A collection of tribal artifacts and crafts originating from various Pacific Islands. Featuring statues, stylized figurines, wood carvings, ceremonial masks, accessories and common tools. Run down houses, abandoned vehicles and the scattered remains of the former population that inhabitated these American towns and trailer parks. This collection contains a variety of structures, props and environments of a post-nuclear setting, located in a vast arid wasteland. An artifact themed set featuring objects and surface textures from ancient Egypt. This set mainly covers shots of papyrus scriptures, detailed hieroglyphs, jewelry and grave goods as well as stone sculptures portraying the pharaohs and indigenous inhabitants of this lost civilization. A collection of traditional Japanese armor, shot in great detail from a range of different angles. Featuring noble armor, helmets and elements that showcase cultural motifs and designs. This set features rocky desert landscapes shot in southern Israel. Environments covered include vast mountain ranges, desolate expanses and arid rock formations. The collection also contains a range of eroded surface textures. Focused on grungy interiors of decaying rooms. 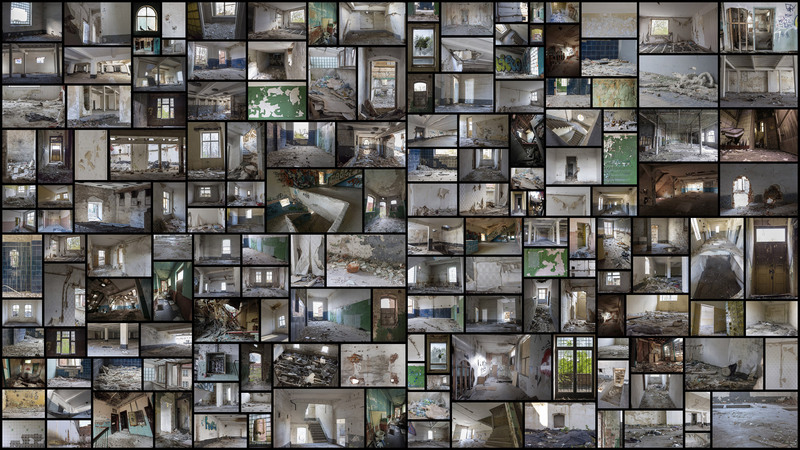 Includes detailed textures of derelict walls, stone rubble, collapsed ceilings and floors. An arid coastal environment with light colored sand and dry plants. The set includes desolate landscapes with dunes, shrubbery and scattered dead branches. A collection of authentically restored American military aircraft, featuring full body shots and details of interceptors, propellor planes, missiles, landing gear and wing mechanisms.